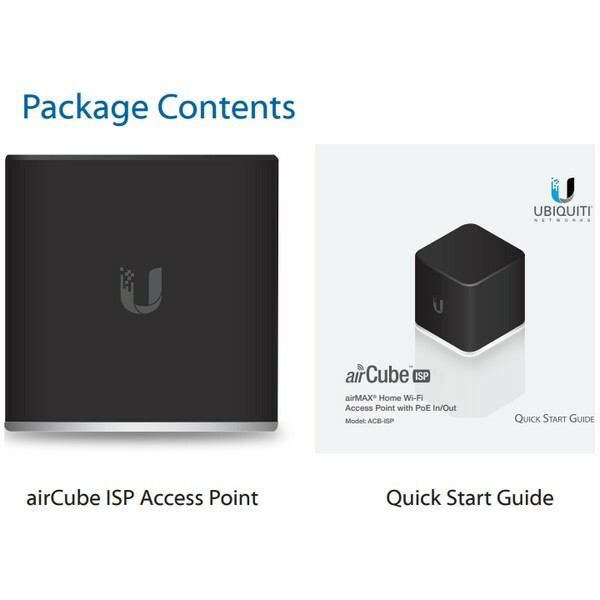 AirCube ISP is home router with modern design and very powerful / discrete antenna system hidden under a plastic chassis. 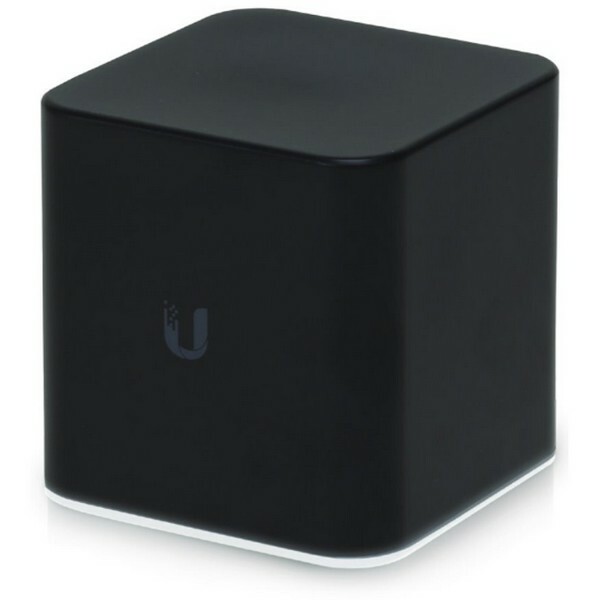 The body of the router is in black matt color is complemented by an elegant white backlit base. 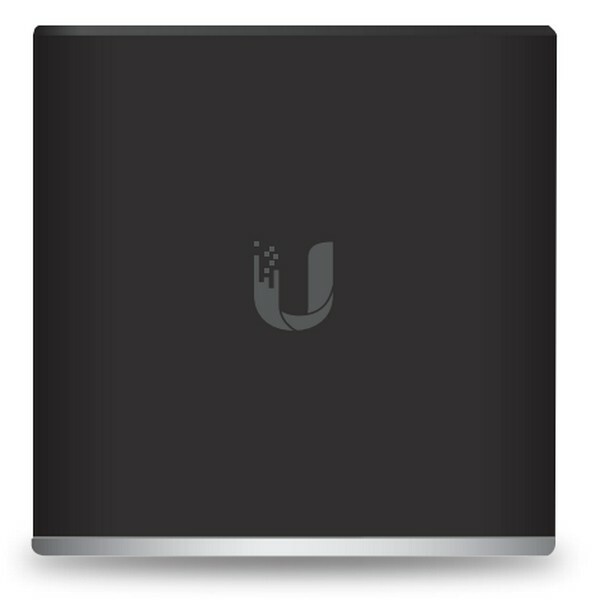 The router features 3x 10/100 Mbps LAN ports, microUSB connector and 2x2 MIMO WiFi radio supporting 300Mbps speed in 2.4GHz. 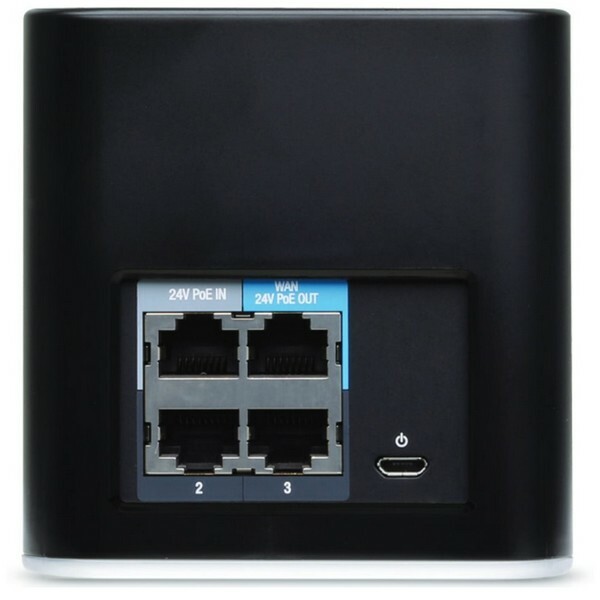 AirCube can be powered via a 5v micro USB adapter (not included) or via a 24V PoE injector connected to the LAN / 24v POE in port. The WAN / 24v POE out port supports PoE out to power any 24v PoE device.